If you are planning on exercising after you have your baby, then you may be restricted if you don’t have someone to babysit while you go to the gym. 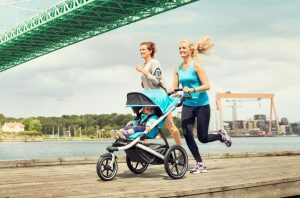 A great option is to purchase a jogging stroller instead of a standard stroller so you can exercise and have a bub with you. This also means you can start out slow by walking and then add jogging and running as you get fitter and recover from the birth. There are a few things to consider before buying a jogging stroller. Budget is always a consideration in any purchase, not only what you can afford but also what is a good price point for a jogging stroller. What needs to be considered in the price? You will most likely be spending over $100 for a decent stroller, but this will ensure you are getting a quality stroller. Try and get the greatest amount of safety and features for your budget and consider you will be using this for many years to come so you need durability. The higher quality strollers are around the $400 mark, but at this price, you should get a lightweight, durable stroller with some high-quality features. When looking at jogging strollers, it is good to compare wheel size and see if the stroller has suspension or shock absorbers. Bigger wheels and good suspension will be necessary if you are going on trails and rougher terrain. A good guide to wheel size is: everyday travel like shopping and sidewalks requires 12-inch wheels, for slight off road 16-inch wheels are better and for more heavy duty trails, grass or hills a 20-inch wheel is best. One of the best jogging strollers available is the BOB Revolution Stroller which has comfort features for you and your baby such as cushioning. With additional features like adjustable tracking so you can lock the wheel to straight for when you are running, so it is easier to steer. For an upper body workout, it has a resistance adjustment on the swivel wheel as well. For further versatility, you can purchase the car seat and use the BOB Revolution frame for the car seat to use as an infant stroller. If this is your second child, then BOB also have a top range of double jogging strollers with the same quality features. Another most popular jogging stroller is the Baby Jogger Performance stroller along with others in the range. It comes with 20-inch wheels which means that it is equipped for most terrains for walking or jogging while keeping your baby safe and comfortable. An advanced braking system along with a quality canopy add to this strollers features. There are many brands and models on the market. Just ensure you look for a safe jogging stroller that has the most important features you require. There is no need to purchase the top of the line if you won’t be using the features you paid the additional money for. 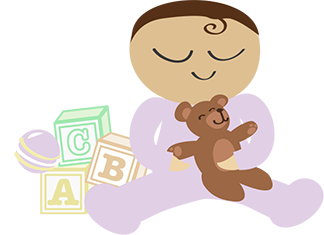 Know what you need and buy appropriately, for more information visit mommasbaby.com.